Am I the last person in the world to read Divergent by Veronica Roth? Okay, so perhaps that’s a slight exaggeration. Still, even though Divergent sat in my to-read pile for more than a year, I remained fuzzy on the plot. A conversation with my niece, then 13-years-old, didn’t clear up the intricacies: an overview of the story wandered off into a discussion of what faction we would belong to and how no one’s personality can be defined by a single trait. She was clearly a combination of dauntless and abnegation, and I was left with a vague impression of the houses from Harry Potter’s Hogwarts. 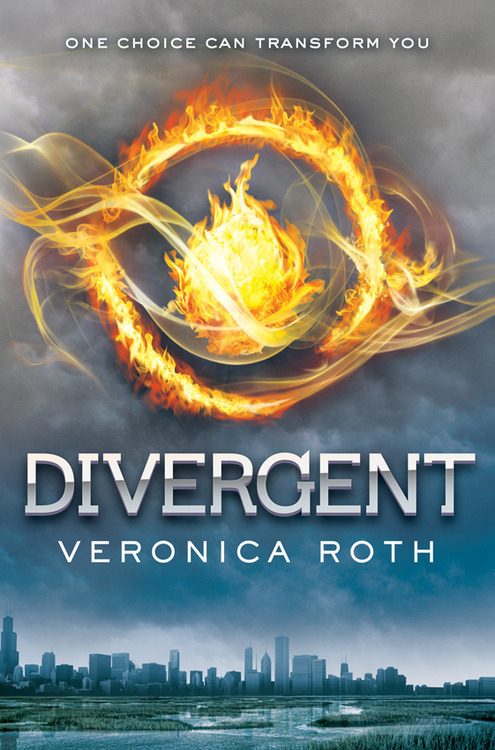 After consuming Divergent over the weekend, I now realize how wrong I was. Stage Two: Let it sit for a while. This is a good time for you to reconnect with friends and family you may have neglected while writing, and to recharge your writer batteries, so to speak. Not writing is as important as writing— go out into the world and remember how interesting it, and the people in it, are. Stage Four (view spoiler): Rip draft to shreds. The phrase “murder your darlings” (meaning: the stuff in your manuscript that you love best is probably the stuff that needs to go- and you have to be willing to get rid of it) has been important to me in developing as a writer. I try to make it a big, dramatic event wherein I save my old draft, copy past the text into a new document, and start deleting huge sections of text. It hurts, but it’s oddly-liberating. The story can become something new now- something better than it was before, something it couldn’t become if you clung to everything. I love Veronica Roth’s writing advice! A few years ago, I went through and read every advice post on her blog over the course of a couple months. Super good stuff. Thanks, Julia. I plan to read more of her advice. I don’t know if I could rip any draft to shreds, because there’s something nice about being able to look back and see progress. However, I do agree with the general concept. Maybe one should lock the paper copy in a safe, encrypt the electronic file…. or in some other way make the copy not worth seeking out. Otherwise, one does get too tempted to use parts. Thanks, Allison, for stopping by. And I agree with your comment–I think it’s impossible for me to shred a rough draft. I love this advice – though the contemplation of tearing it all up and starting again is painful. But the point is this: the word vomit has to be gotten out before anything of value can be written. I so agree! And I’m pretty sure that I’m incapable of tearing up a manuscript and starting over from scratch. I think I lack a certain amount of dedication, but it’s always interesting to read author advice, including yours! Best of luck with all your writing projects (and happy reading! )!